Never performed or heard in the UK, Burgess’s Oedipus the King is a robust and powerful version of Sophocles’s classic text. The drama includes an invented language that Burgess created especially for the 1972 production of the piece at the Tyrone Guthrie Theater in Minneapolis, USA. This has been preserved in the International Anthony Burgess Foundation archive and this BBC Radio 3 broadcast is the first time it has been heard in over forty years. 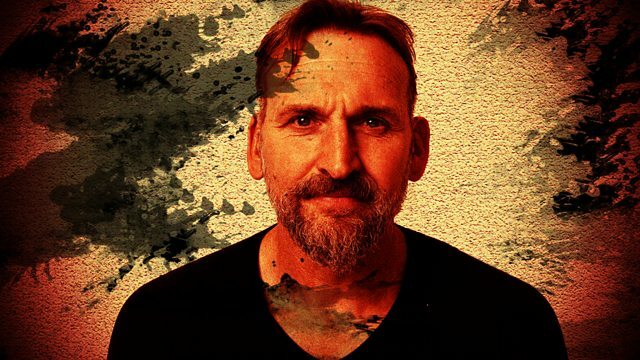 Christopher Eccleston, a keen Burgess fan, who used to run a market stall in the same area of Manchester where Burgess grew up, stars as Oedipus; Don Warrington as Creon, Adjoa Andoh as Jocasta and Fiona Shaw as Tiresias, the ancient blind prophet who was both man and woman. The music was composed for the original theatre production by Obie Award-winning and Grammy Award-nominated composer, Stanley Silverman. Stanley has worked with Arthur Miller, Pierre Boulez, James Taylor, Elton John, Sting and with legendary New York theatre maker Richard Foreman. The BBC Philharmonic and Manchester-based Kantos Chamber Choir perform the music, conducted by Clark Rundell. Oedipus starts the drama as a powerful king, who has freed Thebes from the curse of the monstrous Sphinx, solving a seemingly simple yet impenetrable riddle. Over the course of the play his world unravels. A new blight is on the land and he is determined to rescue his people by rooting out the cause. Oedipus the King can be streamed on the BBC website.